Home Deliveries are made weekly from San Diego to Santa Barbara, arriving by 6a.m. Monday mornings. 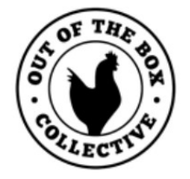 ​Out of the Box Collective is a Los Angeles farm-to-home grocery delivery service. We have been operating in the LA area since 2010, and were one of the first companies nationally to specialize in sourcing local foods from not just farmers, but ranchers, fishermen, bee-keepers, artisans, vintners and more. We specialize in Real Food Boxes — curated, weekly themed boxes with selections from all the food groups. These boxes are created around a weekly meal plan with recipes using all the ingredients in the box. Our customers also love to get creative with their ingredients and do their own thing. In April 2015 we teamed up with produce box specialist Summerland to offer a great selection of produce-only boxes to our line-up. For people who like to choose their own ingredients, our online marketplace has an extensive collection of locally sourced products, delivered straight to doorsteps. Out of the Box prioritizes buying local, organic or pesticide-free, GMO-free whenever possible, and sustainably produced foods. We currently deliver to 1000 zip codes from San Diego to Santa Barbara. For customers not in our delivery zone but still within Southern California, our products are available on our storefront on AmazonFresh. We are also very proud to be B Corp certified, which means that we have been audited to meet rigorous standards of social and environmental performance, accountability, and transparency. We were included in their 2015 “Best for the World” list, which is quite an honor. We were also awarded the B Corp Award by the Sustainable Business Council of LA in 2016. Our goal is to be an integral part of the developing local food distribution network for Southern California.